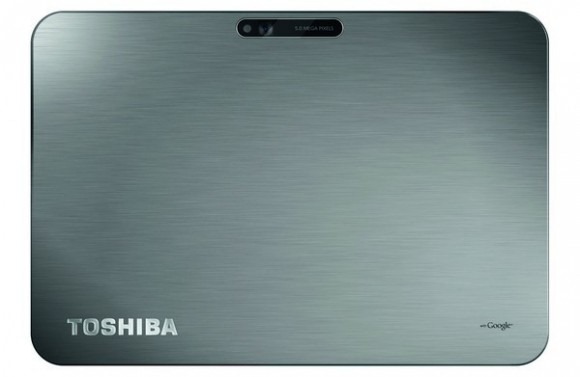 Toshiba Europe GmbH unveiled an exciting new product today – the ultra-thin 25.7cm (10.1’’) AT200 tablet. Despite measuring only 7.7mm from front to back, the Toshiba AT200 delivers a broad range of essential ports and interfaces. It offers an amazing wide-view display for comfortable content consumption plus full web browsing capabilities to meet the preferred usage for tablets. 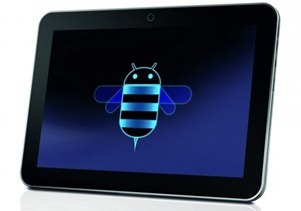 Every bit as powerful as it is stylish and robust, this tablet is built to exceed expectations. The Toshiba AT200 will be available in the fourth quarter of 2011 in Europe. 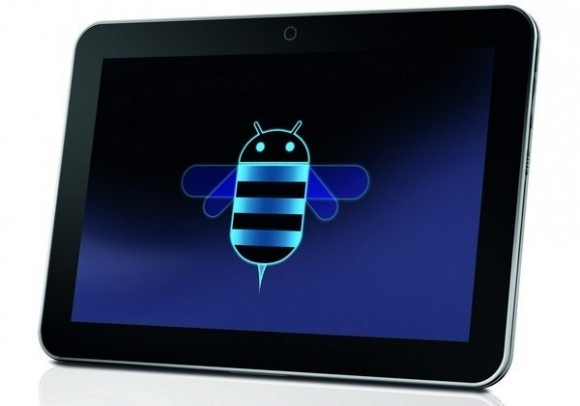 To connect with other devices the ultra-slim tablet comes with all essential interfaces and ports onboard: amongst them micro-USB, micro-SD, Wi-Fi™ and Bluetooth®. The micro-HDMI®-port allows streaming HD content to the large screen of a TV. Front and back HD cameras are ideal for video conferencing and augmented reality applications. The Toshiba AT200 allows users to enjoy videos at home and while out and about. It features a brilliant 25.7cm (10.1") high-definition screen that displays pictures with crisp colours and in full detail. Despite being ultra-thin, it allows up to eight hours of video consumption . To complement the first-class video capabilities the new Toshiba tablet with stereo speakers allows for a high quality sound playback. The Adaptive Sound Device Enhancer’s sophisticated algorithm maximises sound quality to achieve a quality that normally only can be found with large speakers. Plus, a technology called Sound Masking Equalizer identifies and enhances sound that is being masked or distorted by surrounding noise. The result is a well-balanced, powerful playback of music and video sounds even under high ambient noise levels. Toshiba is a world leader and innovator in pioneering high technology, a diversified manufacturer and marketer of advanced electronic and electrical products spanning digital consumer products; electronic devices and components; power systems, including nuclear energy; industrial and social infrastructure systems; and home appliances.